State sales tax on groceries will stay. Senate panel defeats repeal bill that had passed the House. (Francisco Kjolseth | The Salt Lake Tribune) Whole Foods Market officially opens a new store in Park City down the street from the old location that doubles the size, offers more food venues and includes a new in store restaurant called the Silver Mine Taproom. 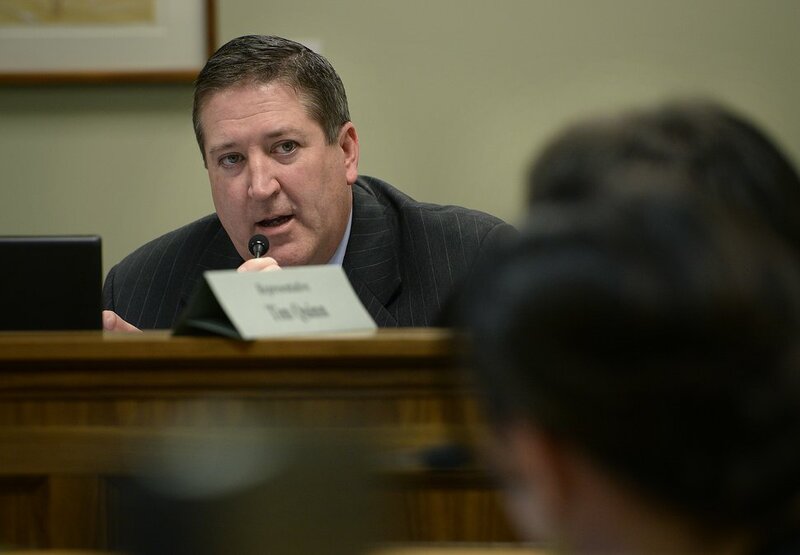 After the Utah House approved wiping out the state sales tax on food, the Senate made quick work of the reform — defeating the measure in its first committee hearing before ever reaching the floor for debate. HB148 was rejected by a 4-2 margin Monday, the final day for committee hearings. The bill had won bipartisan approval in the House on a 42-27 vote two weeks ago. But it had languished in the Senate until its defeat in the Senate Revenue and Taxation Committee. All four opposing votes were from Republicans, while GOP Sen. Deidre Henderson of Spanish Fork joined Democric Sen. Jim Dabakis in supporting HB148. Sens. Curt Bramble, Lincoln Fillmore, Daniel Hemmert and Howard Stephenson opposed HB148. Just a year after legislators seriously considered raising the sales tax on food, the Utah House voted 42-27 on Tuesday to eliminate the state’s share of the levy. Representatives passed HB148 to erase the state’s current 1.7 percent sales tax on unprepared foods. But it would raise the state’s portion of sales tax on everything else from 4.7 percent to 4.92 percent. The bill now goes to the Senate. Local sales tax on food would remain unchanged if the bill passes. Overall, legislative analysts estimate that state sales tax revenue would remain the same under the proposal. But Rep. Tim Quinn, R-Heber City, the bill’s sponsor, said it would help low-income people who spend much higher percentages of their income on food. Last year, legislators considered raising the sales tax on food because it was seen as a stable source of income during recessions and downturns. 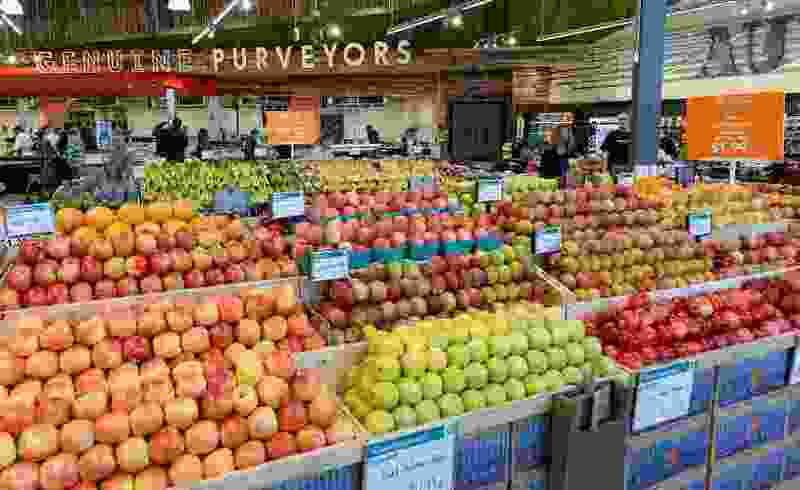 But Quinn said studies showed that food was such a relatively small portion of all purchases that it would have little effect on tax revenue volatility. Feb. 8: Could Utah’s sales tax on food vanish? Just a year ago, Utah lawmakers were pushing to raise the state’s sales tax on food. Now some are looking at eliminating it, as 35 other states already have. The House Revenue and Taxation Committee voted 8-3 on Wednesday to endorse HB148, which would totally abolish the state’s 1.7 percent sales tax on unprepared foods. But it would raise the state’s portion of sales tax on everything else from the current 4.7 percent to 4.92 percent. Overall, legislative analysts estimate that state sales tax revenue would remain the same. But Rep. Tim Quinn, R-Heber City, said the change would help low-income people who spend much higher percentages of their income on food. “To me, it’s not an economic issue. It’s a moral issue,” Quinn said. “That is a trade-off I think we should all make to help those are struggling,” noting that while most people average spending about 7 percent of their income on food, the poor often spend 35 percent or more. Scott Sommerdorf | The Salt Lake Tribune Representative Tim Quinn, R-Heber City, asks a question of Rep. Angela Romero, D-Salt Lake, as she presented of her bill, HB200 - Sexual Assault Kit Processing Amendments - during a House Revenue and Taxations committee meeting at the Utah State Capitol complex, Wednesday, February 8, 2017. A long line of groups representing the poor testified in favor of the bill. Melissa Jensen, with Utahns Against Hunger, said, “Taxing food increases food insecurity in the state,” and mean that more people do not have enough to eat. But others opposed the bill. Billy Hesterman, vice president of the Utah Taxpayers Association, said his group prefers to broaden the tax base to lower rates, while this bill does the opposite. Rep. Doug Sagers, R-Tooele, said that when the recession hit, overall sales tax revenues plummeted, making it difficult to fund government programs. He said food sales are fairly constant even in hard times, so eliminating them could lead to more volatility and less stability for government funding. The committee made one change to the bill. It decided to tax candy at the full tax rate. It has up to now received the same discount as unprepared foods. Committee Chairman Steve Eliason, R-Sandy, made that motion in part because it helped achieve revenue neutrality in the bill, and he said he wanted to send a “public health message” — saying diabetes, for example, is becoming an increasing problem in Utah so such foods should not get a tax break.